Our AAA dayboat quality, sashimi Ahi Tuna is caught and processed very quickly ensuring great freshness and superior texture. 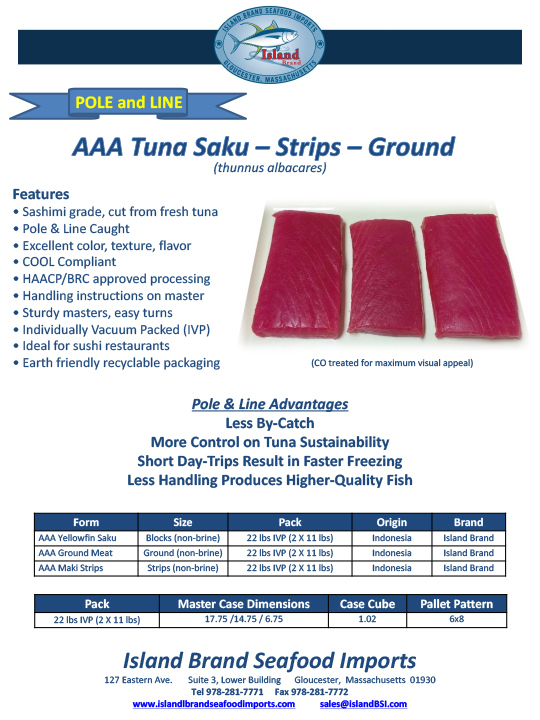 This AAA sushi-grade is pole and line, hand caught in the most sustainable fishery method, soon to be MSC Certified. Each fish is iced and stored before being processed into our high-end AAA Saku, Tuna Strips and Tuna Ground Meat.